Reviewing resumes, interviewing candidates, vetting and eventually hiring new executives for your company is a time consuming undertaking for someone who is already swamped with their own work. In consequence, many people looking for new hires have to periodically back-burner their recruiting plans so that they can take care of their own work. As a result, some spectacular candidates may be lost in the shuffle. Conscientious managers will take their time to thoroughly examine candidates’ references and explore their references. It’s an admirable strategy that can help them avoid hiring candidates who would be detrimental to the business. Unfortunately, there are down sides to taking too slow an approach to hiring; you could lose out on a perfect potential employee who accepts a position elsewhere while you’re still doing a background check. There are several reasons you should be concerned if your recruiting process is too slow. As soon as an experienced executive in any industry starts a job search, that information flies through the industry and interested employers are soon lined up, waiting for an opportunity to interview them. Savvy interviewers understand that after the initial and call-back interviews, companies need to be ready to act swiftly. Don’t wait around or the candidate will be snapped up by another company, giving them the edge you could have had. Working with engineering recruiters in Milwaukee proves you’re serious about finding the right candidate. It frees you up to focus on other aspects of your job so that you aren’t bogged down. It speeds hiring along so you aren’t losing money using a temporary hire or farming out tasks to others. Your company will have the reputation of acting quickly and decisively to fill open positions. Others will assume that if the hiring process is streamlined and decisive, other departments will also be strong and efficient. When a position is left open for any length of time, other employees have to pick up the slack and they’ll become overtired and overworked. Both of these will sap their productivity and reduce the effectiveness of the team or department. Resentment because of this can lead to morale problems and petty bickering, things that can destroy working relationships. From first advertising for and reviewing resumes to screening, interviewing and finally doing background checks, you’ll expend a lot of time and effort that translates into additional costs for your company. The total price of each cost-to-hire can skyrocket over time, leaving you less money for actual salaries or benefits. If you need to reduce your costs-to-hire, take some time to review your procedures. Do you insist on multiple people at every interview? 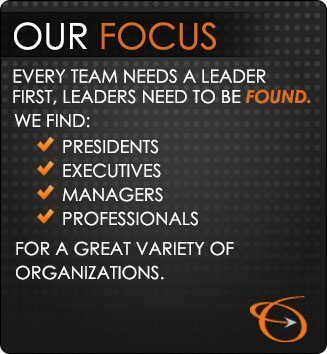 Are you focusing on trying to find the right candidate or dreaming of finding the “perfect” one? Determine where you can pare down the process. One of the best ways to minimize the cost of hiring is often to turn over the search for executive level hires to professional engineering recruiters in Milwaukee. By outsourcing your executive level engineering needs to our engineering recruiters, you can turn your attention to your other responsibilities and more quickly spare your employees the added burden of picking up the slack for an open position. At the Lawler Group we have an entire database of qualified candidates and we know them personally. We will screen these potential hires thoroughly to find the ideal candidates for your job opening. We will screen resumes based on the criteria you provide, including specific skills and experience. We will do all of the time-consuming recruitment tasks that you’ve been trying to juggle and do an exemplary job of handling all aspects of the search. Because this is all we do, you can be confident that it will done quickly and efficiently. We can handle background checks, vetting and checking references as well. From the initial phone call to negotiating the hiring contract, the Lawler Group’s engineering recruiters in Milwaukee will handle all the details. The result? A faster, more effective and accurate hiring process that will save you money in a competitive hiring marketplace. Contact us today to learn more.